We specialize in masonry, tile, landscape, plaster, and concrete supply. We offer consulting and free estimates to help you reach your project goals within budget. Our mission is to consistently provide a superior experience to every customer: best possible service, support and quality of every job. We excel at fast turnaround without cutting corners. After over 30 years of working alongside with contractors, designers, architects, builders, and business owners as well as individual buyers. I have developed a strong knowledge base of what customers really wanted. This is where Paradise Building Materials began: a company dedicated to providing exceptional customer service. To provide a professional approach to exceptional quality projects which meet budget and schedule goals. 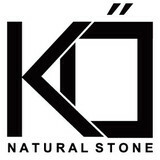 Specializing in paving stone design and installation along with retaining walls and landscaping. 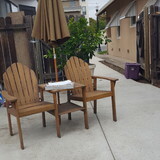 Solo Pavers Expert, Inc. offers high-quality, customized hard-scape solutions at affordable prices for residences all over the Bay area. 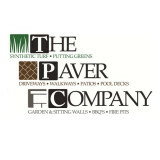 Our services include custom concrete paver design and installation, pool decks, patios, driveways, pathways, and more. Whether you want the simple “rustic European” style or a highly customized outdoor art “exhibit,” Solo Pavers Expert, Inc. will build you something you would never have thought it's possible. Our custom paver hardscapes are visually alluring, inviting and improve the curb appeal of your home. Our experience and craftsmanship combined with our exceptional artistry ensures that you will be thoroughly impressed with our work. 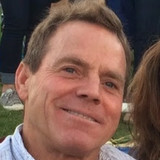 Solo Pavers Expert, Inc. is run by Owner/Operator Maicon Cruz. With over 10 years experience in the paving industry, Mr. Cruz is a rare creative artist and skilled technician. His passion for “transforming the whole outside of the house” leads him to design creative, beautiful and unique layouts for his clients that make their homes stand out. Often, clients are amazed by the results and comment that the work is more beautiful than they themselves could have ever imagined. From start to finish, we will make sure you are completely satisfied with your overall experience with us. Let's talk about your project!! Is it time you spruced up your outdoor living spaces? Creative Carmichael pavers, masonry contractors and stone suppliers can help. Professionals specializing in hardscape such as walkways, patios and retaining walls will work with you to design, plan, install and even fix your exterior and interior home projects. Read further to learn how to best find and work with Carmichael, CA stone, brick, paver and concrete contractors. From installing new exterior columns to repairing your chimney, masonry contractors can help you add both visual appeal and value to your property. They’ll know what kind of installation makes the most sense for your Carmichael, CA climate and regional style. Looking for something that will develop a patina with time? Or would you rather have your home feel brand new for years to come? Choosing the right kind of stone involves thinking about the future, too. Experienced brick suppliers and stone suppliers can help you find the material that will work for your home now and for years to come. These professionals aren’t limited to exterior work either. Whether you want a split-stone granite wall in the kitchen or need help installing traditional brick masonry on your fireplace facade, you’ll want a professional to get it right. If you’re already working with an architect or designer, he or she may be able to suggest a good Carmichael, CA subcontractor to help out. Here are some related professionals and vendors to complement the work of stone, pavers & concrete: Landscape Architects & Landscape Designers, Architects & Building Designers, Garden & Landscape Supplies, Driveways & Paving, Siding & Exteriors. Find stone, paver and concrete professionals on Houzz. 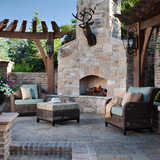 Search the Houzz Professionals section for Carmichael, CA stone, paver and concrete professionals. Browse photos and read reviews, and contact a pro if you like their work.